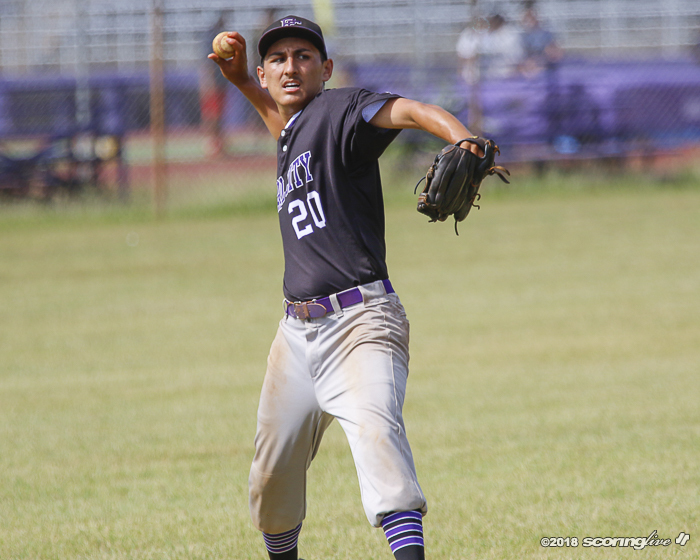 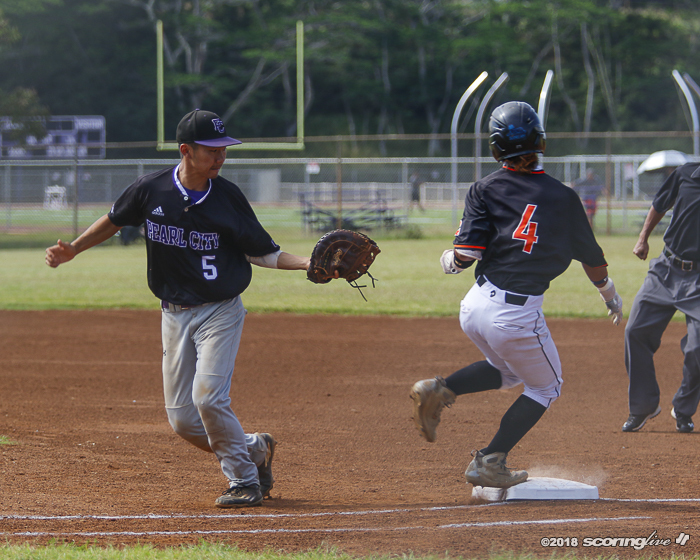 PEARL CITY — After scoring a combined nine runs for its past four wins, No. 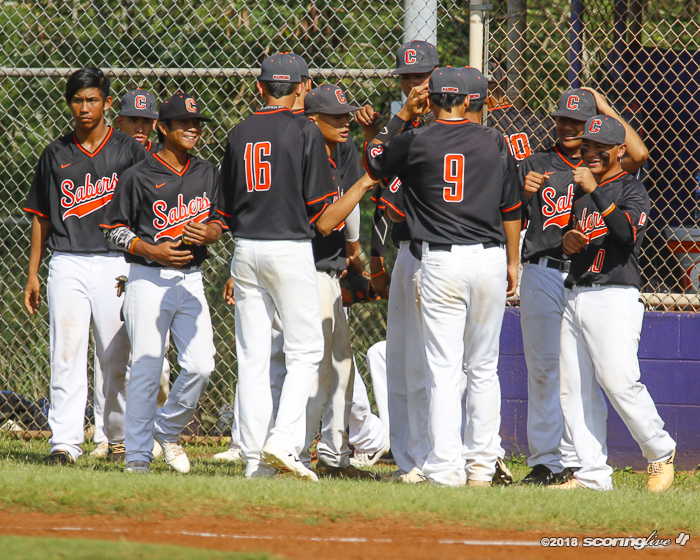 5 Campbell's bats erupted in a 10-0 win against No. 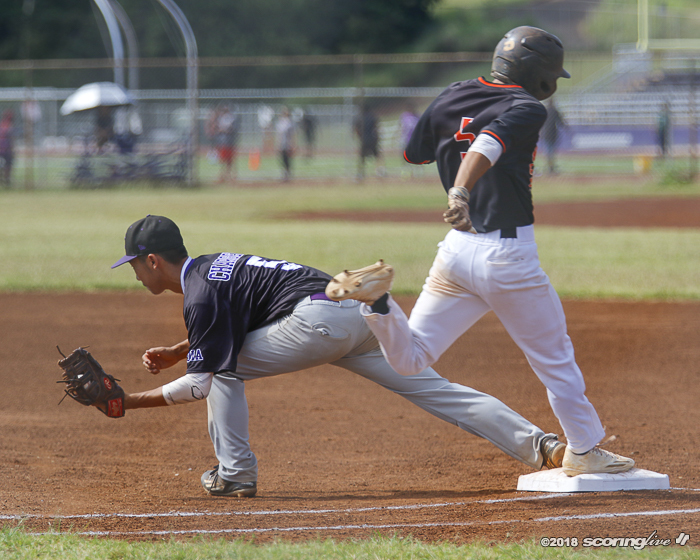 10 Pearl City Friday in a game called after six innings because of the 10-run mercy rule. 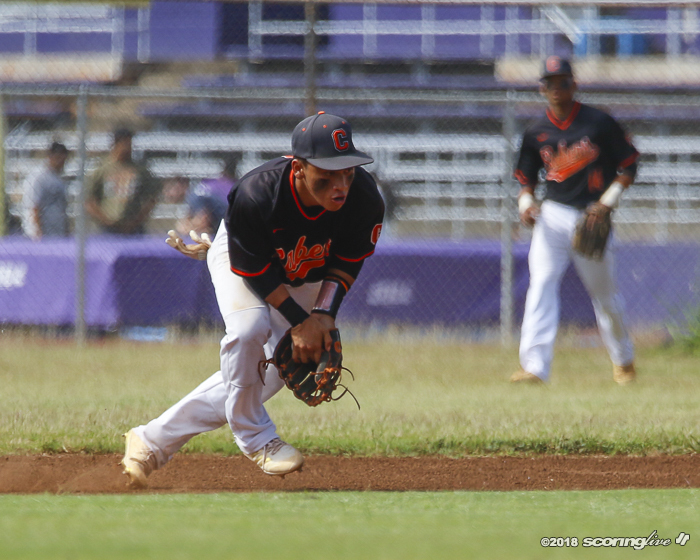 "We've been struggling scoring runs, but we were in a little funk," Campbell coach Rory Pico said. 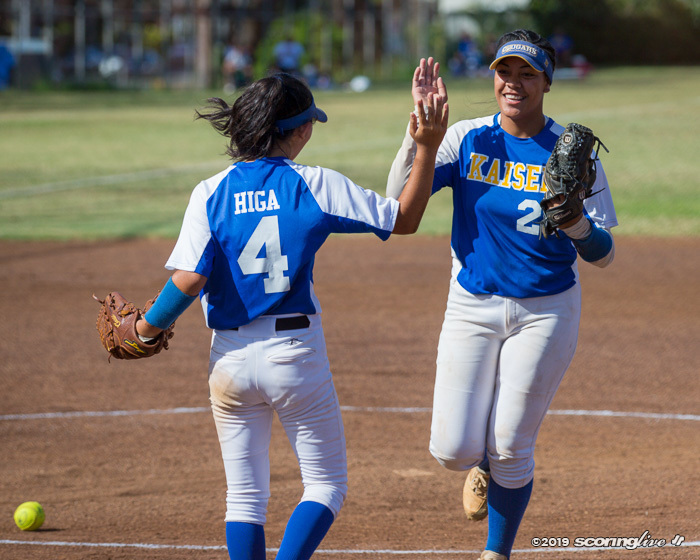 "Today, we clutched up with runners on base and that was the difference." 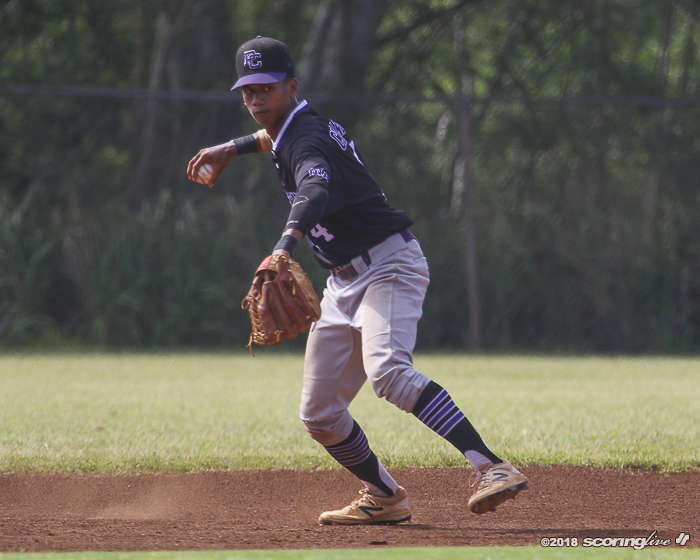 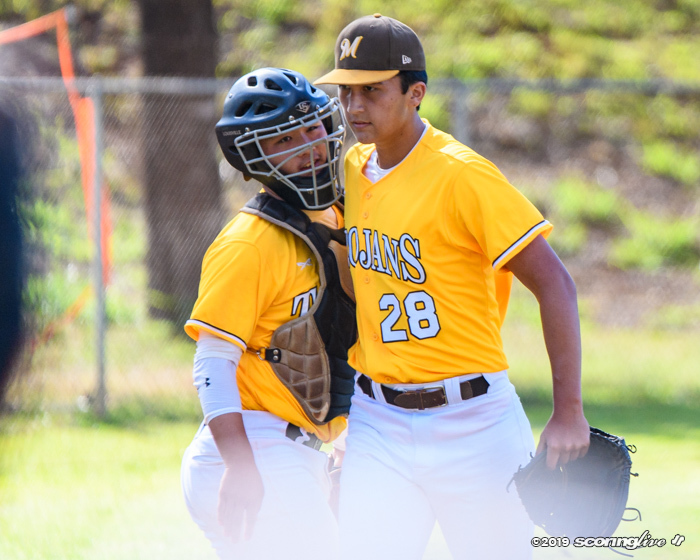 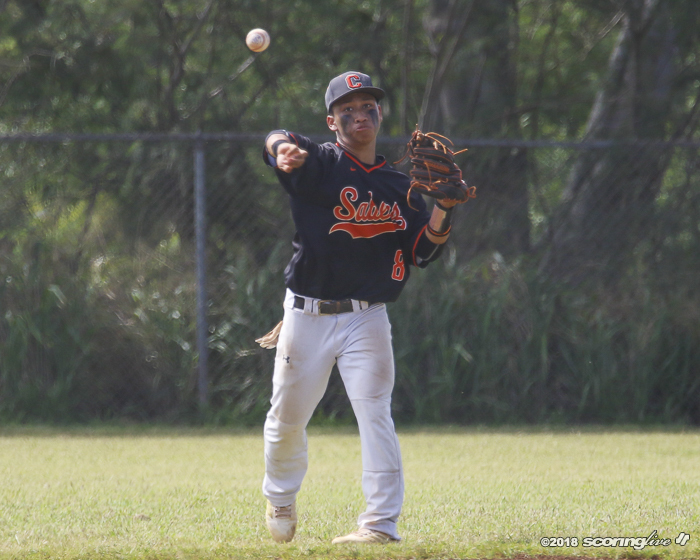 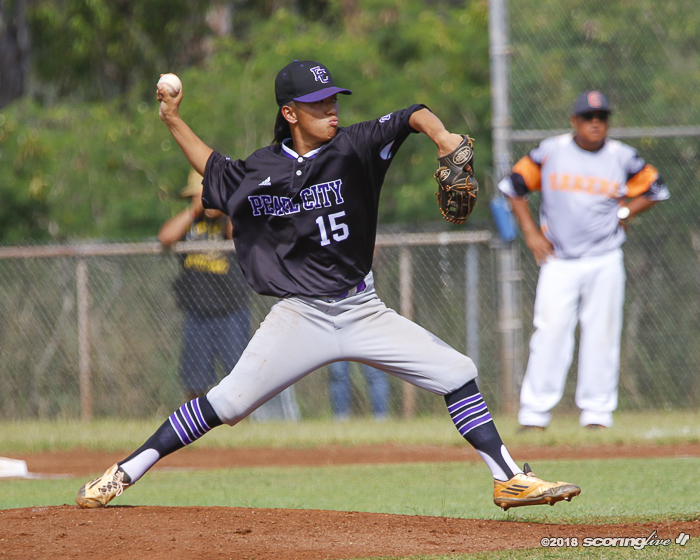 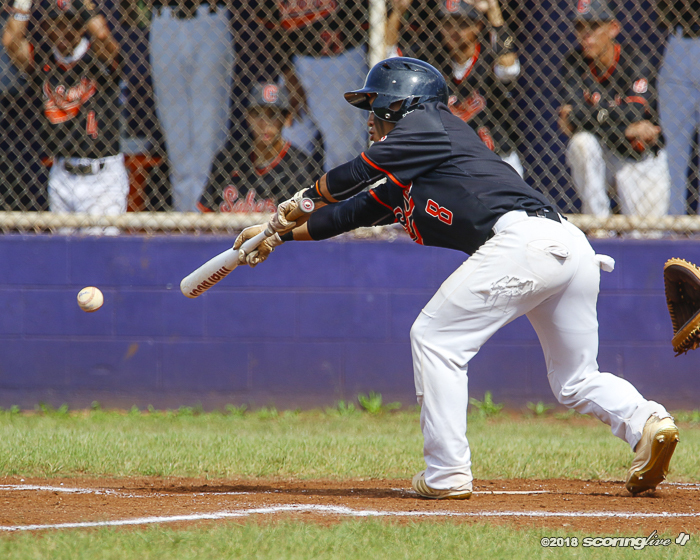 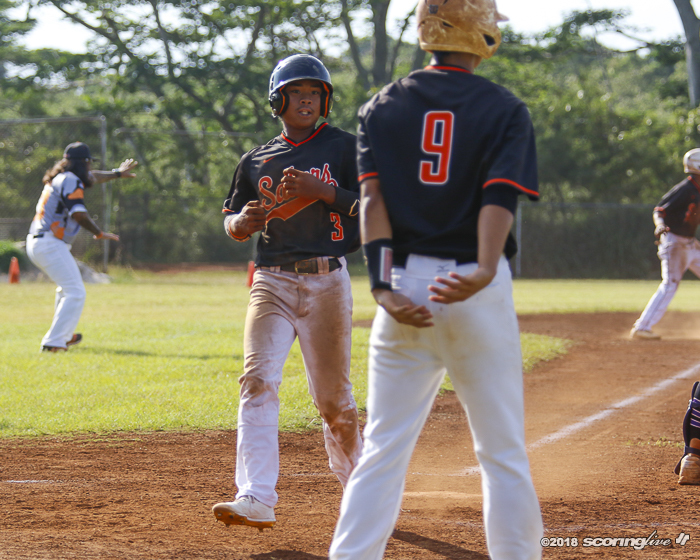 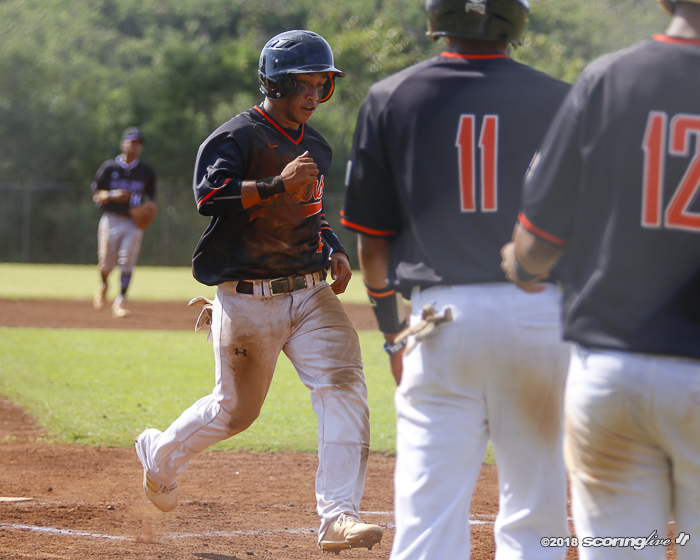 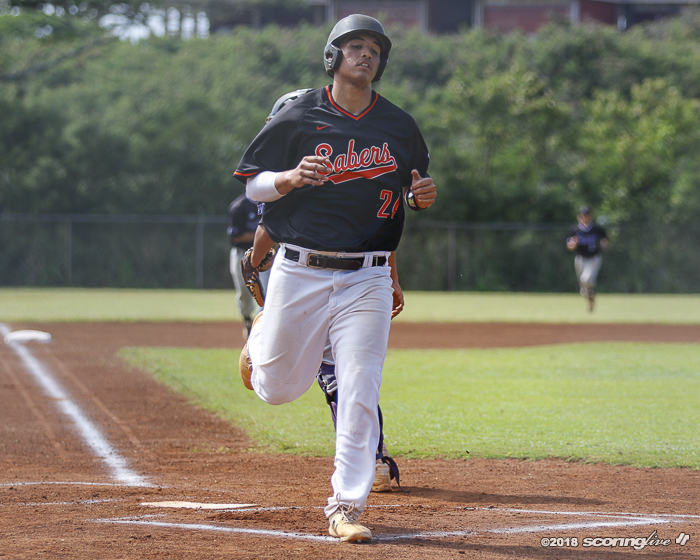 The Sabers (8-1) helped their postseason cause by improving to 8-1 in the wild Oahu Interscholastic Association Division I West baseball race. 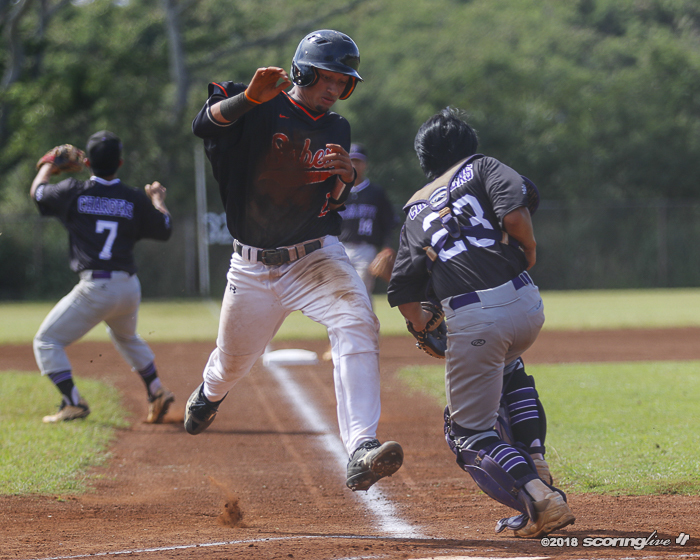 Had the host Chargers (6-3) won, they would have pulled into a tie for first. 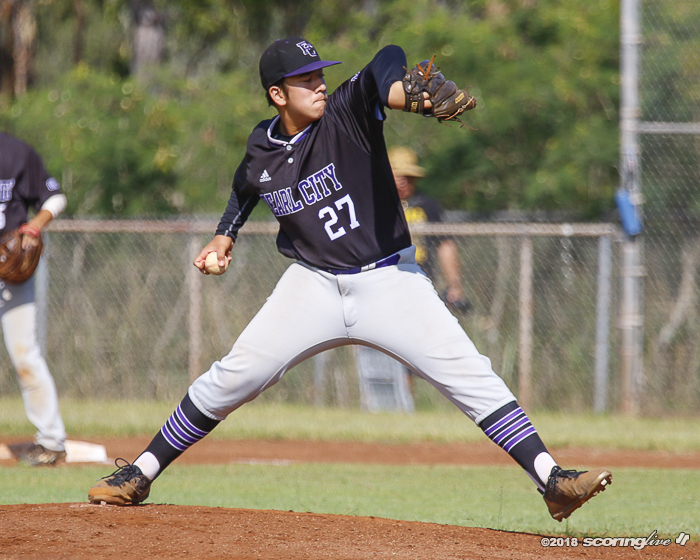 "This guarantees us a playoff spot," Pico said. 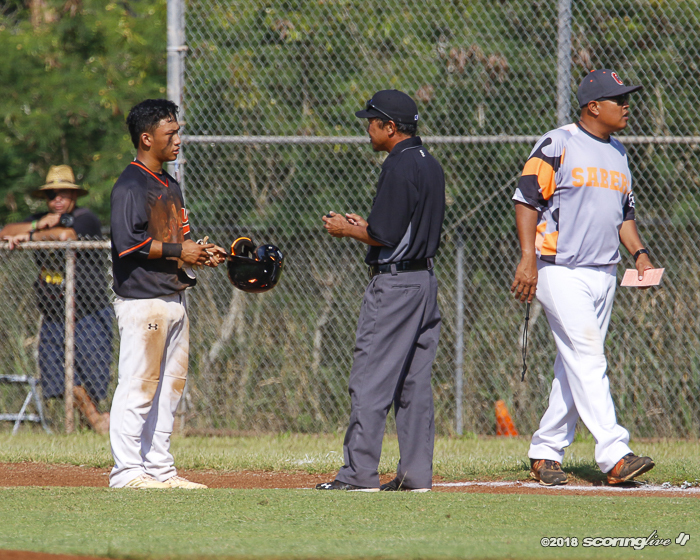 "Now, you begin preparation for the playoffs. 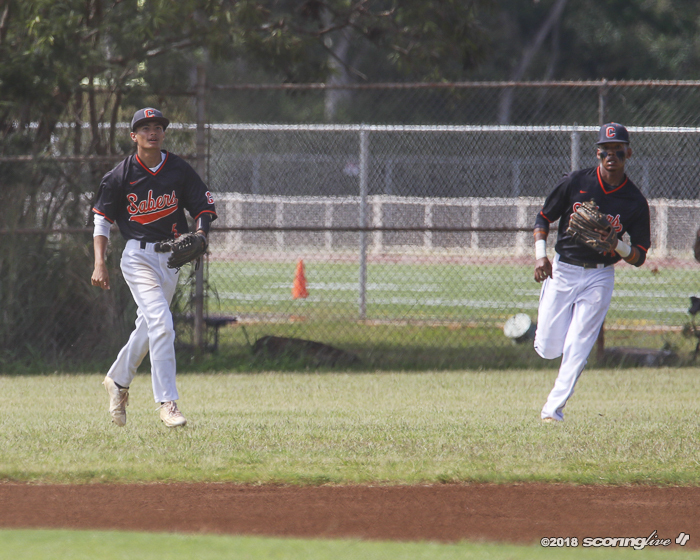 But it's not like we're going to lay down and play everybody. 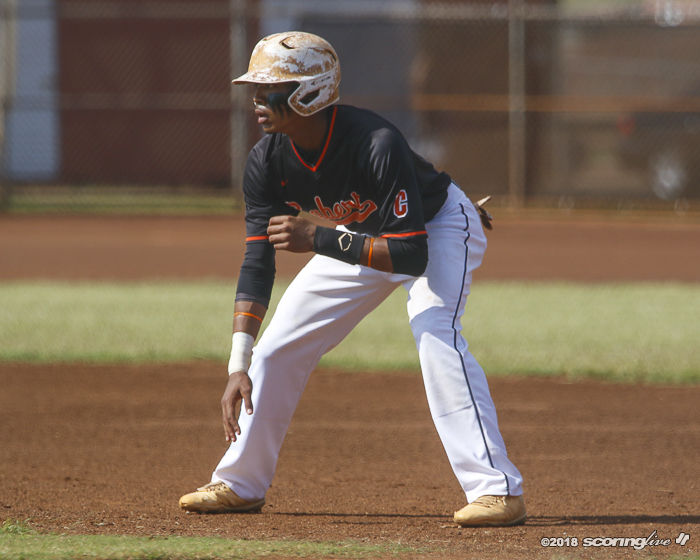 We're going to play and get our guys ready." 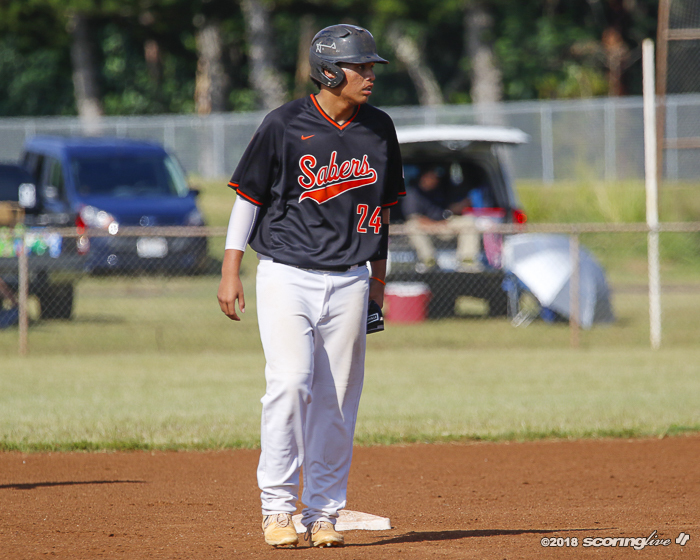 While the Sabers have a two-game lead on the second-place Chargers, only three games separate second through sixth places. 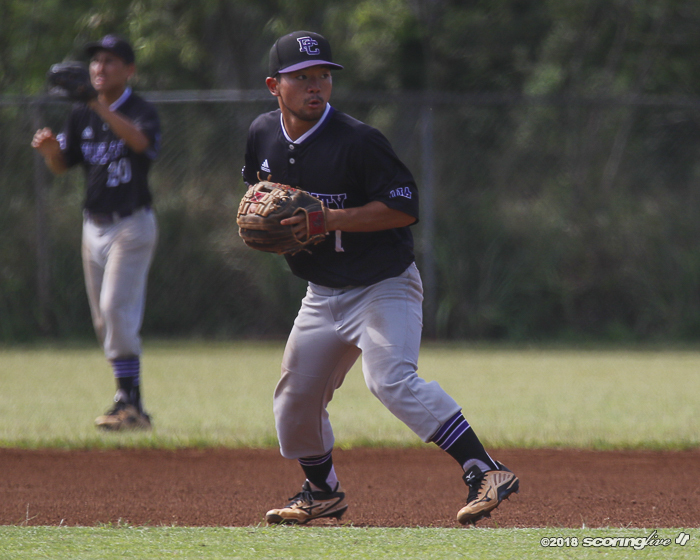 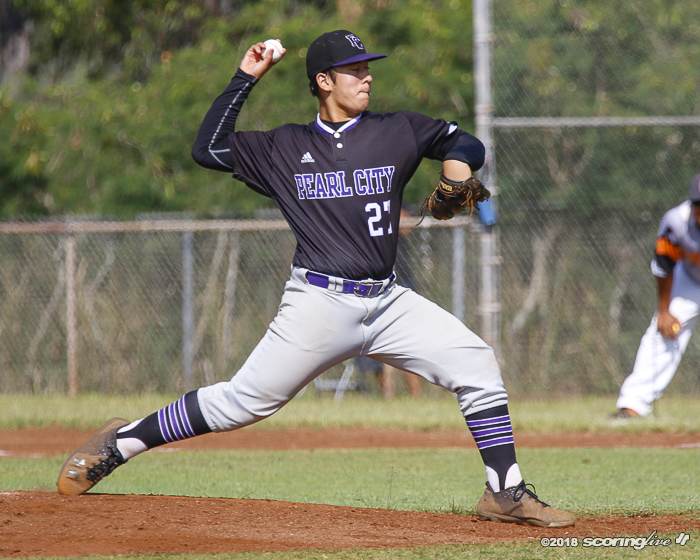 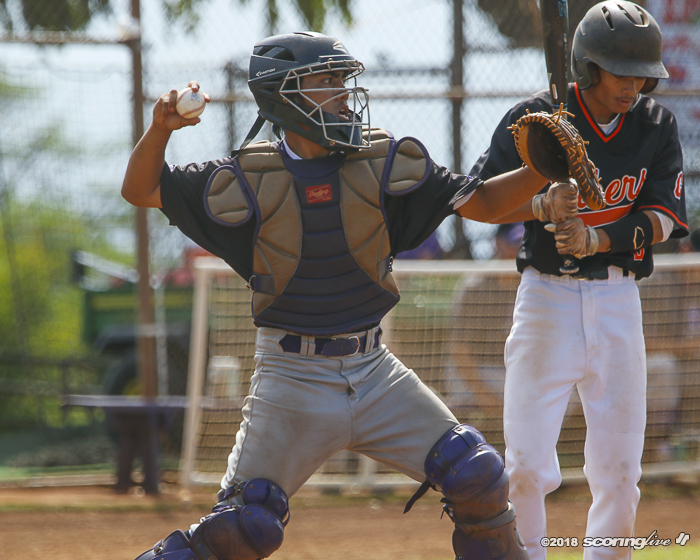 "This was a big game for us," Pearl City first-year coach Wes Yonamine said. 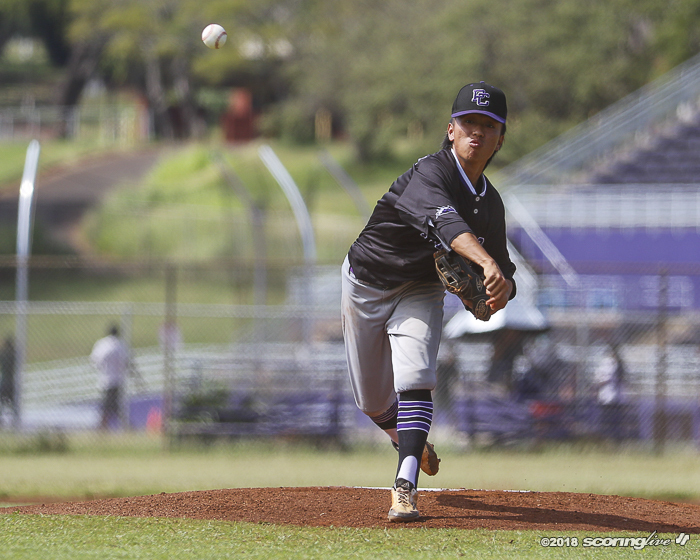 Senior right-hander Jamin Kalaola (3-0) pitched five solid innings with 65 pitches. 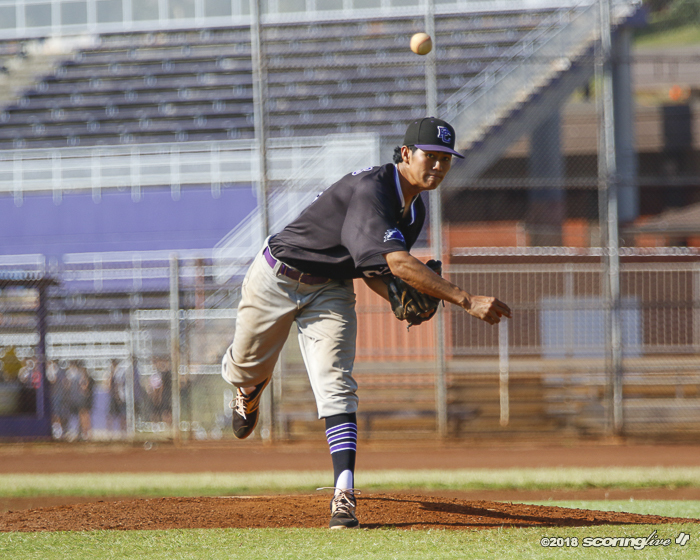 He scattered four hits and struck out three. 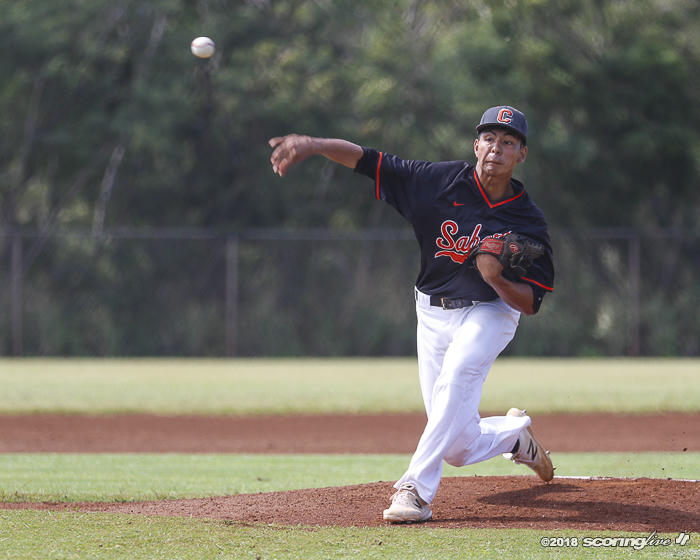 He allowed his first walk of the season in 27 innings pitched. 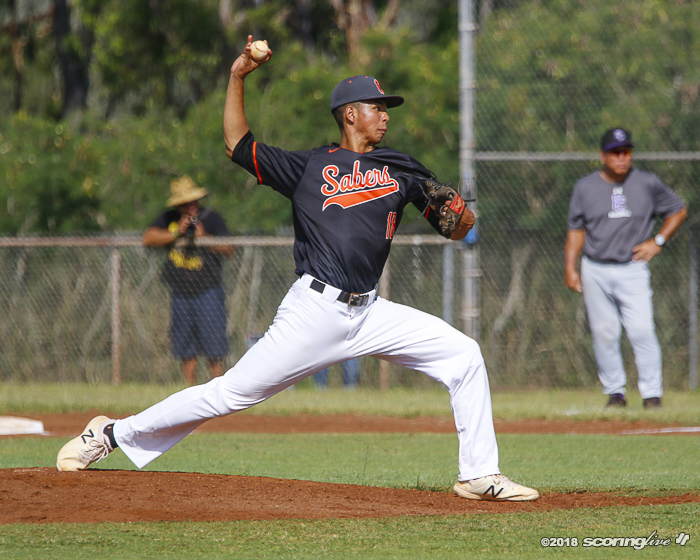 His earned run average dropped to 0.26. 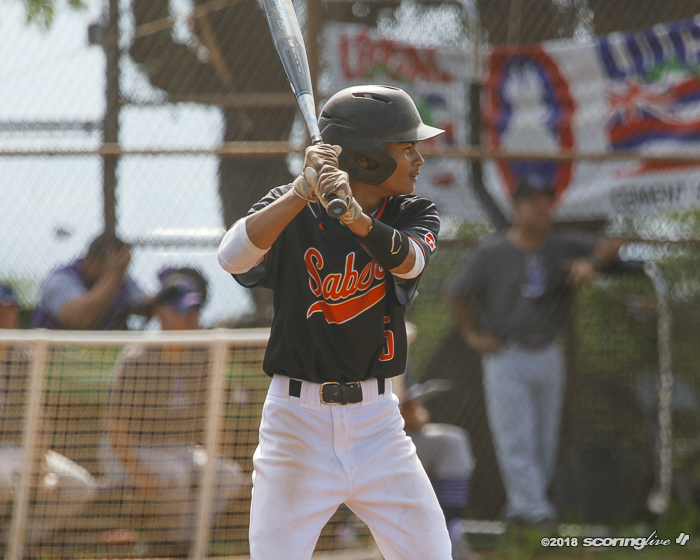 With the big lead, Darien Robinson came in for the sixth, pitching into and out of a bases-loaded jam to escape unscathed. 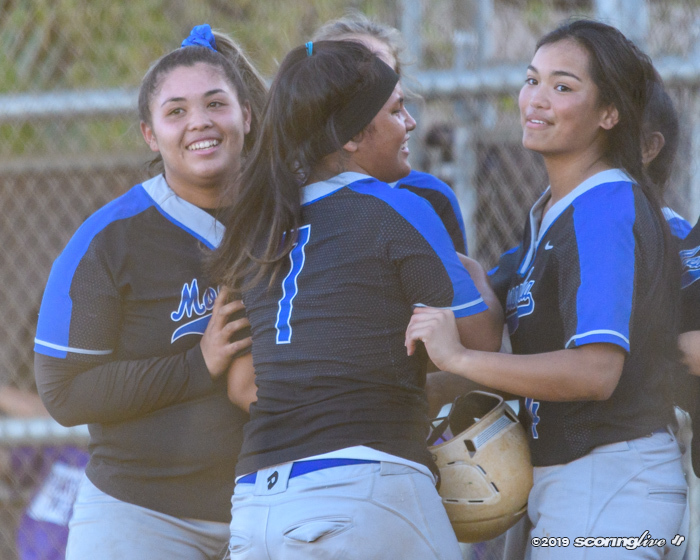 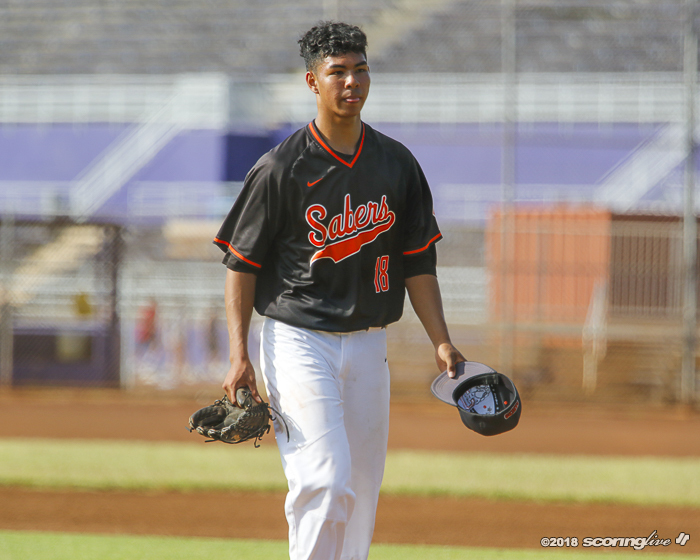 The 10-run output — the second for the Sabers this season — was a far cry from their first outing with the Chargers, who won 3-1 in 12 innings on March 7. 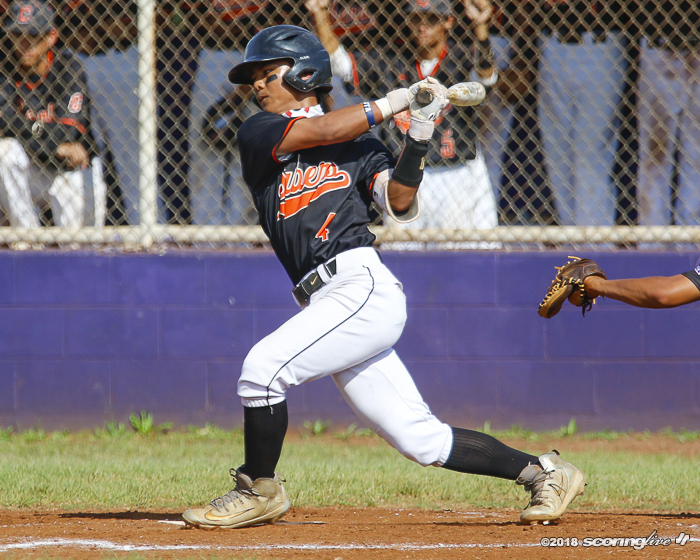 Campbell managed six hits in that game and could not cash in on nine walks. 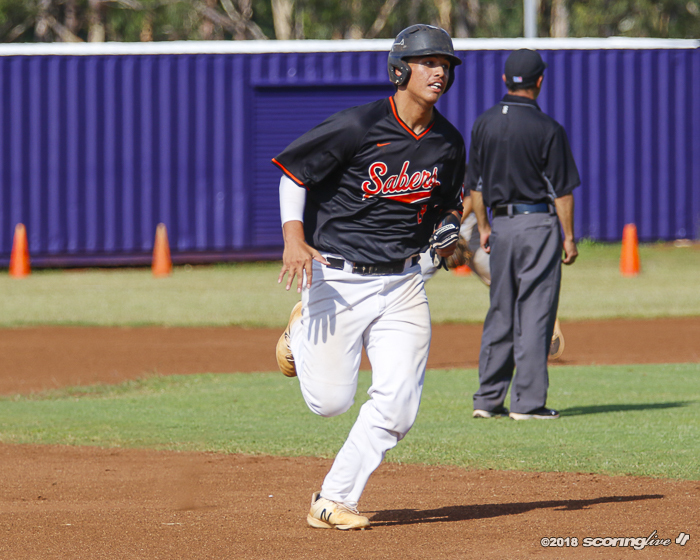 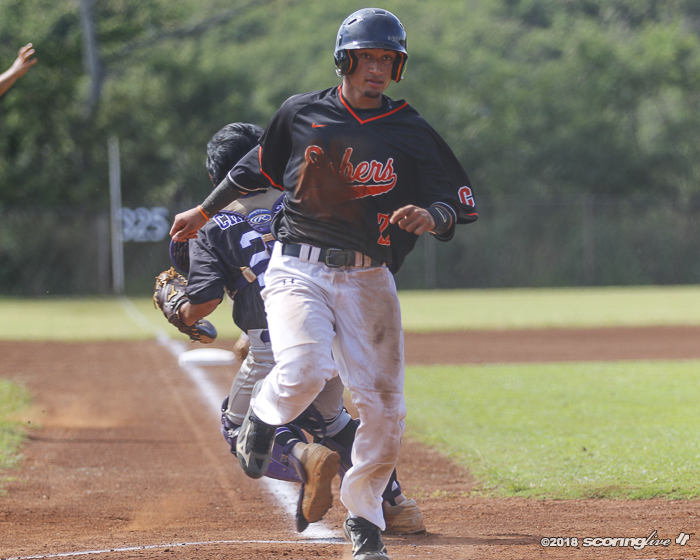 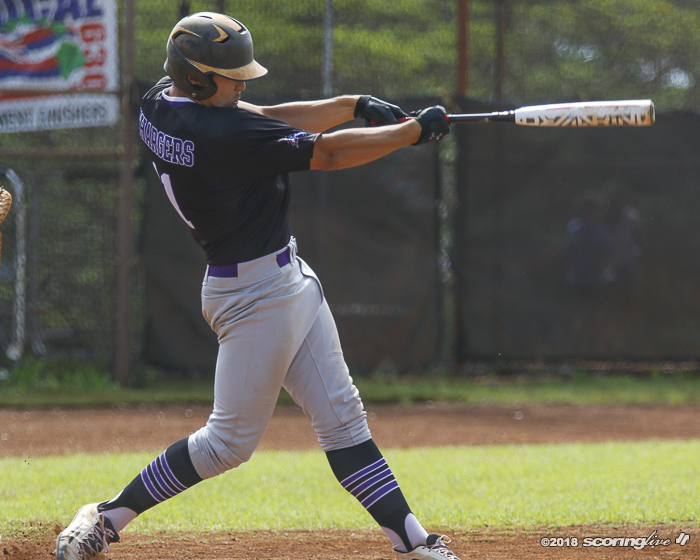 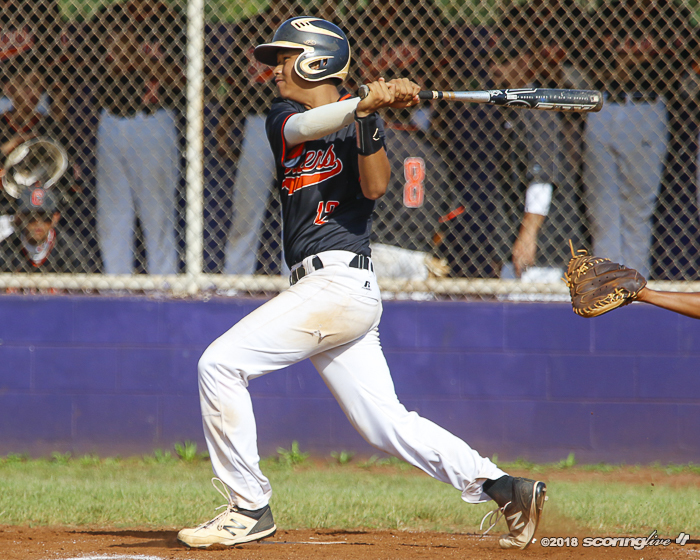 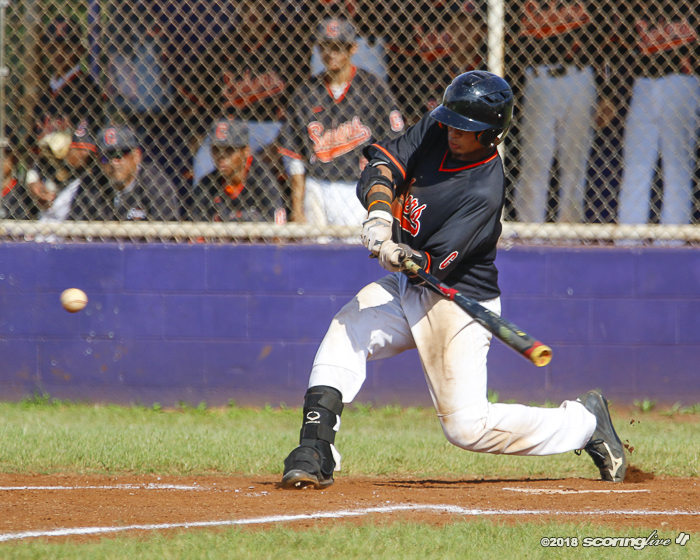 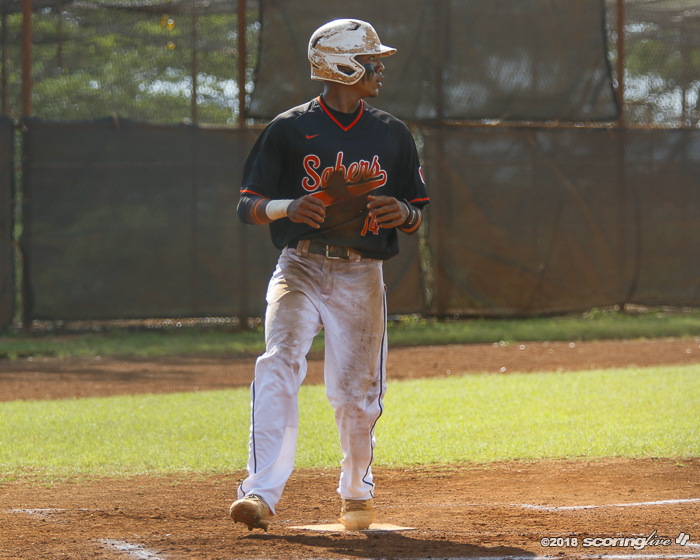 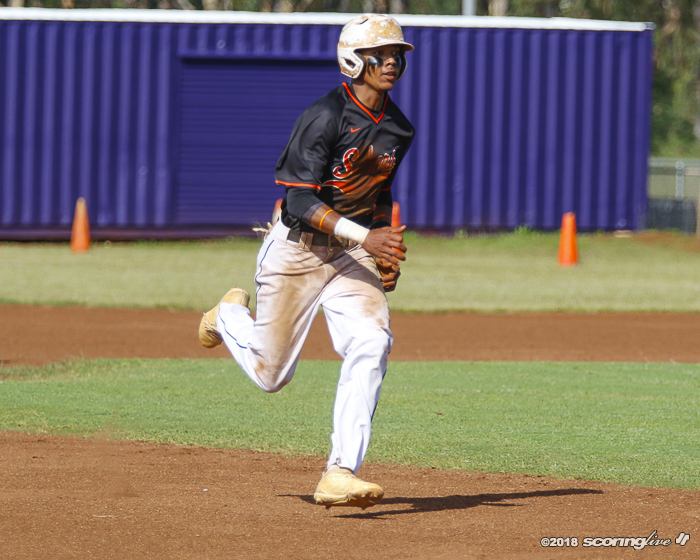 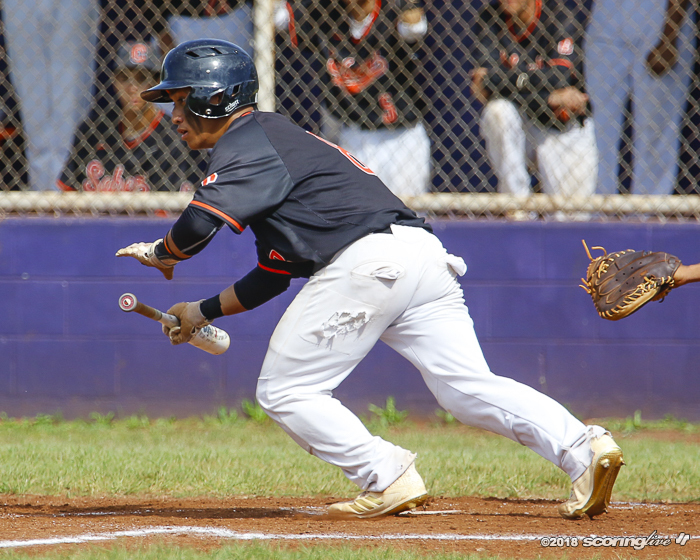 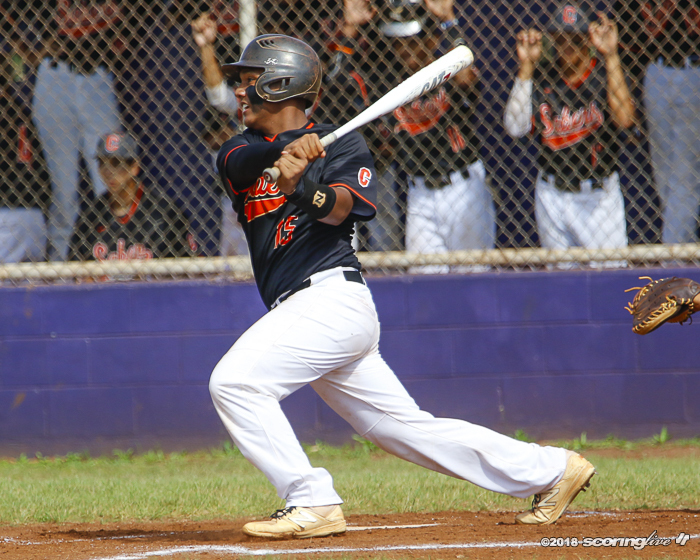 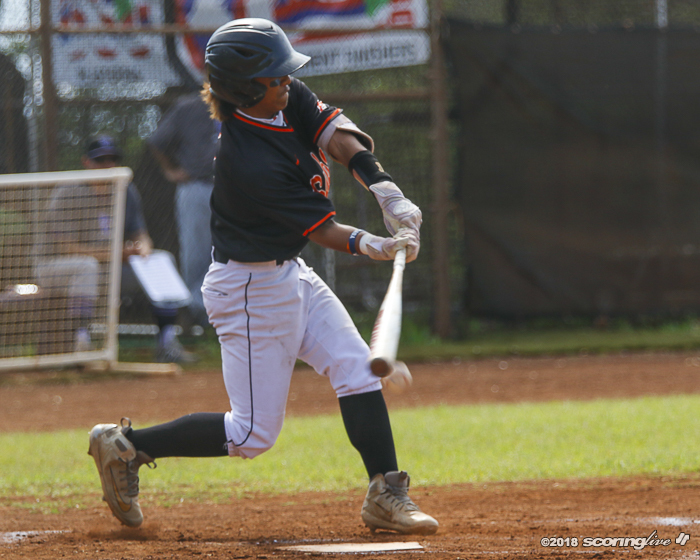 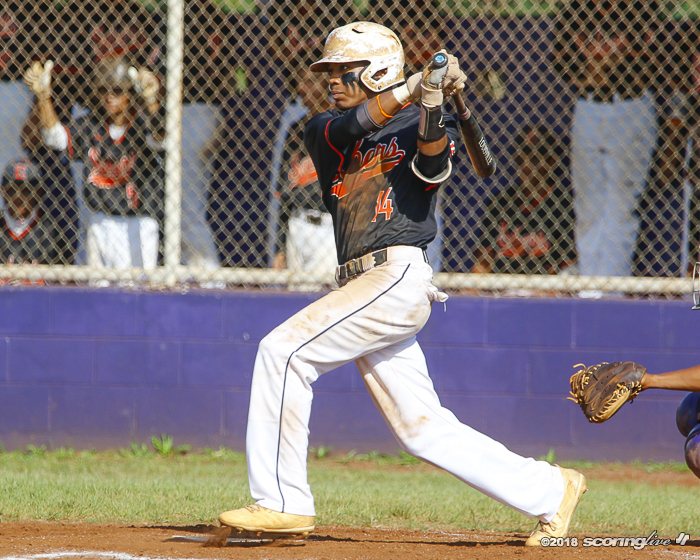 Leading the Sabers' 10-hit parade was 2017 All-Hawaii First Team outfielder Nicholas Sampson, who pulled a triple-triple: three runs, three hits and three RBIs. 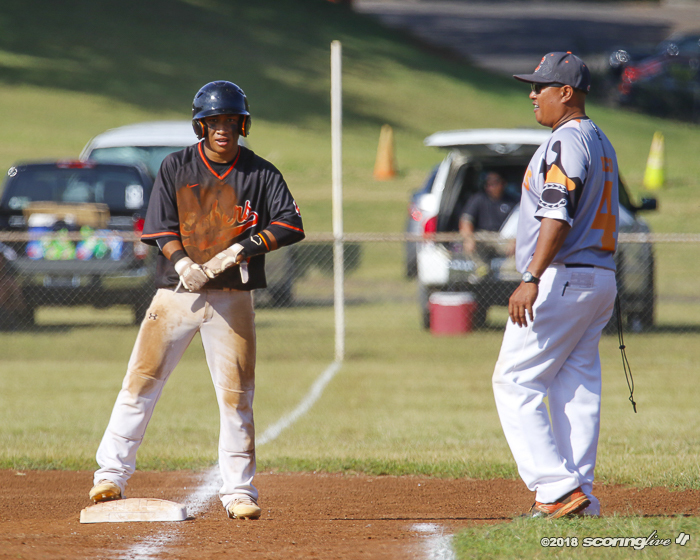 His first multi-run, multi-hit and multi-RBI game of the season raised his batting average to .308. 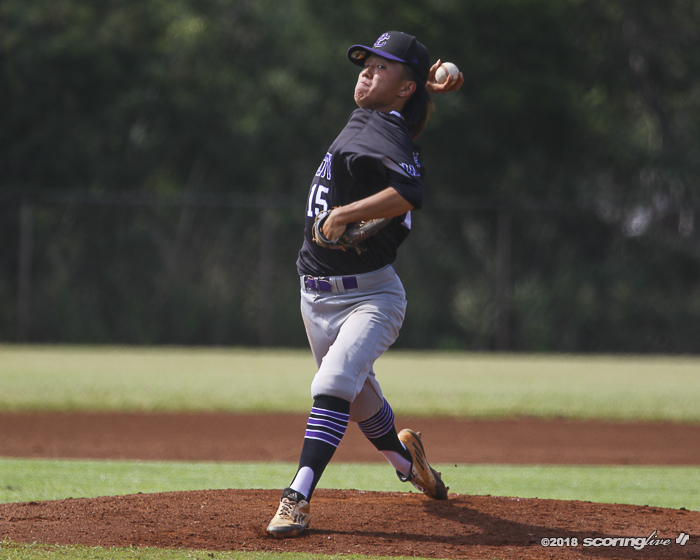 He attributed his slow start to a high-leg kick to generate power. 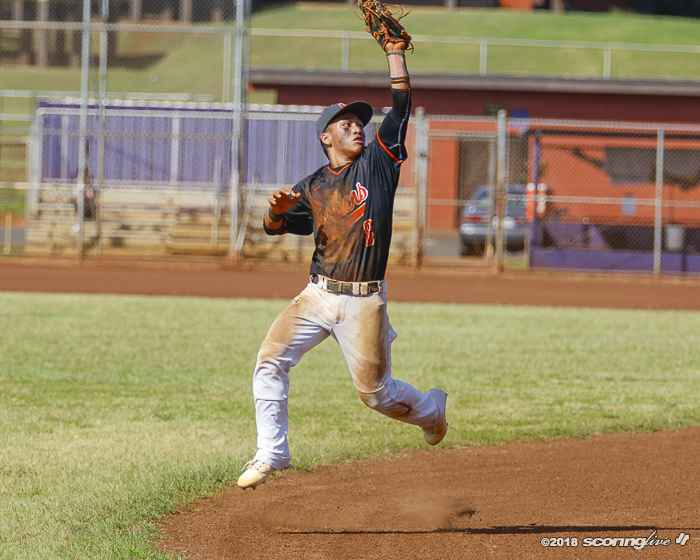 Lately, the right-handed Sampson has been dropping his lead foot quickly and turning on the pitch. 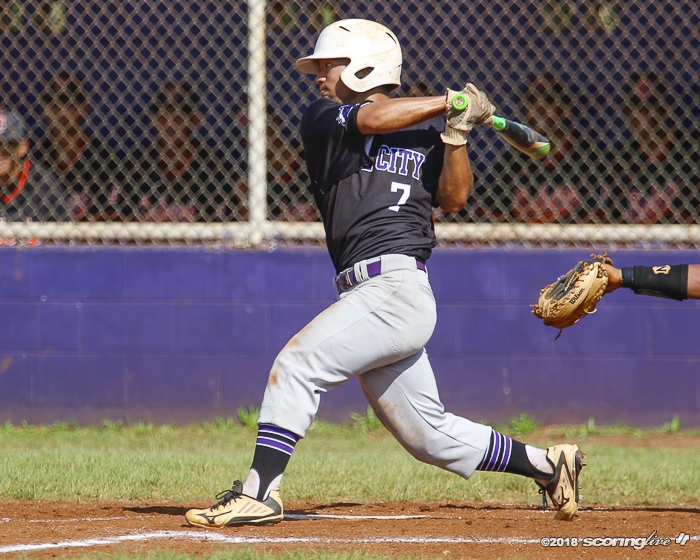 "I'm starting to get my timing down," said Sampson, who also reached on a hit-batsman and stole a base. 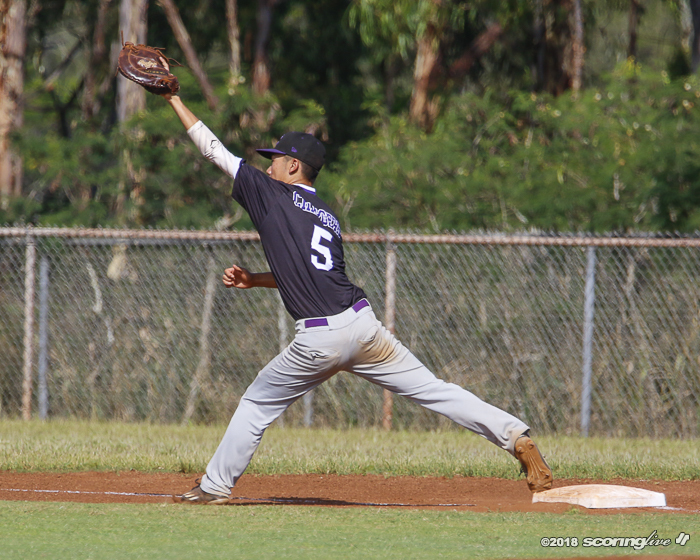 "Got my foot down early, got my hands back to get to the ball. 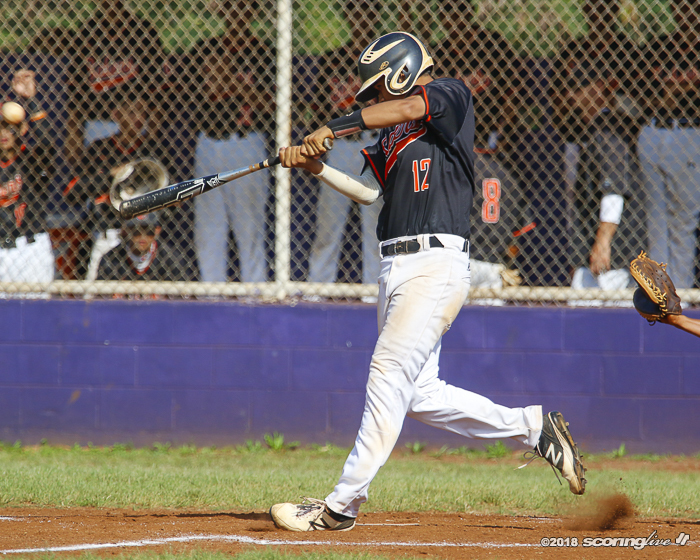 "I was trying to change up my swing with a leg lift, get more power on it, but I just went back with the old swing." 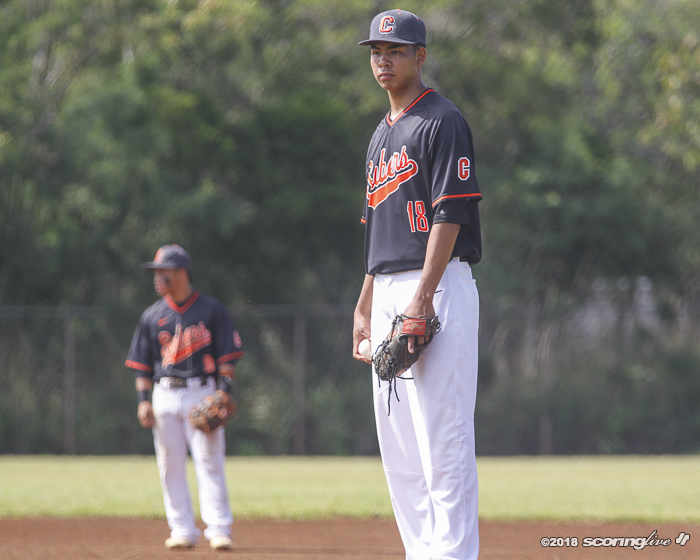 Added Pico: "He's been working very hard, trying to keep things simple." 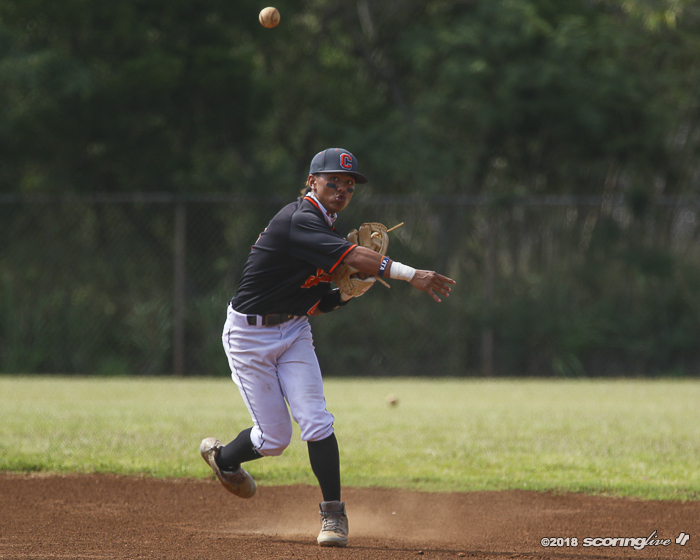 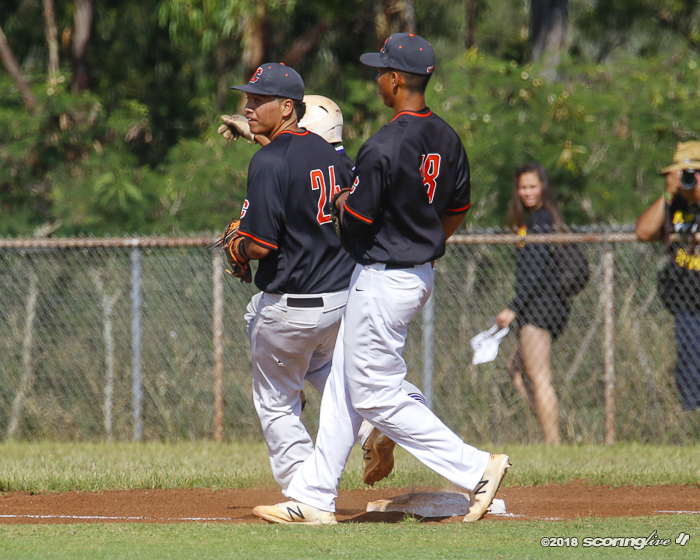 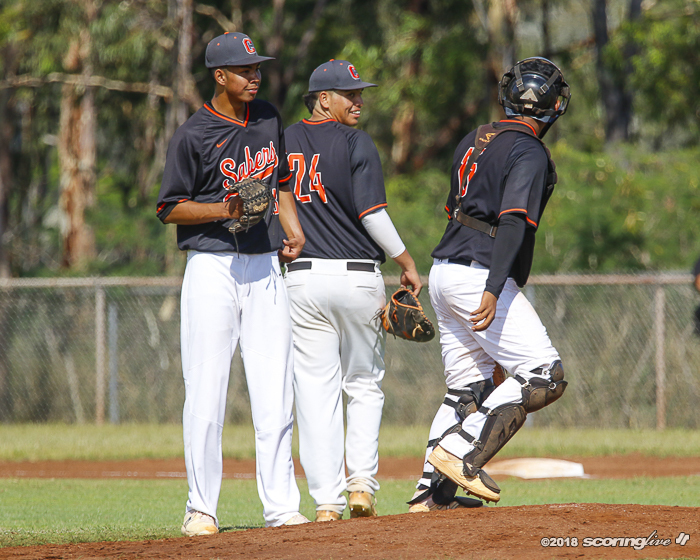 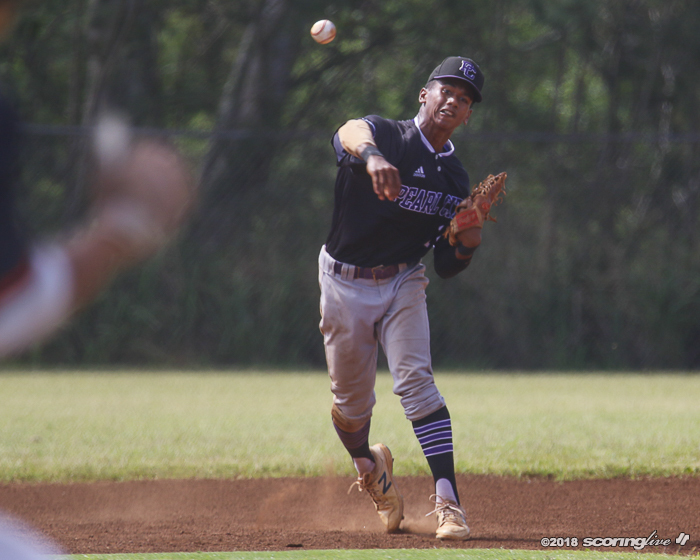 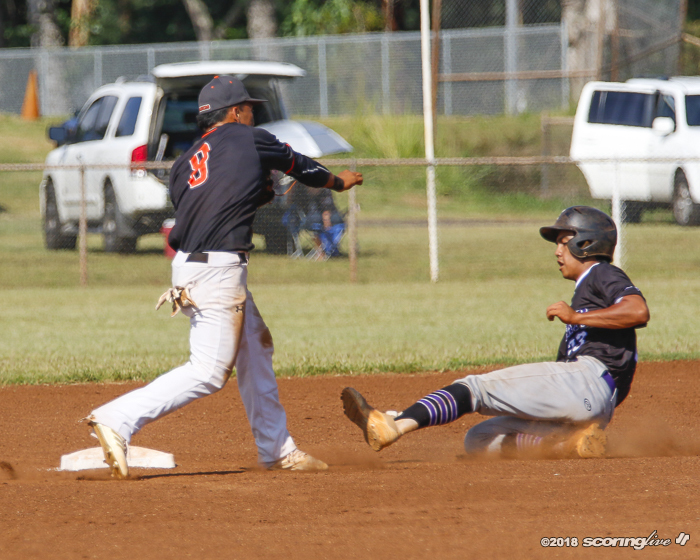 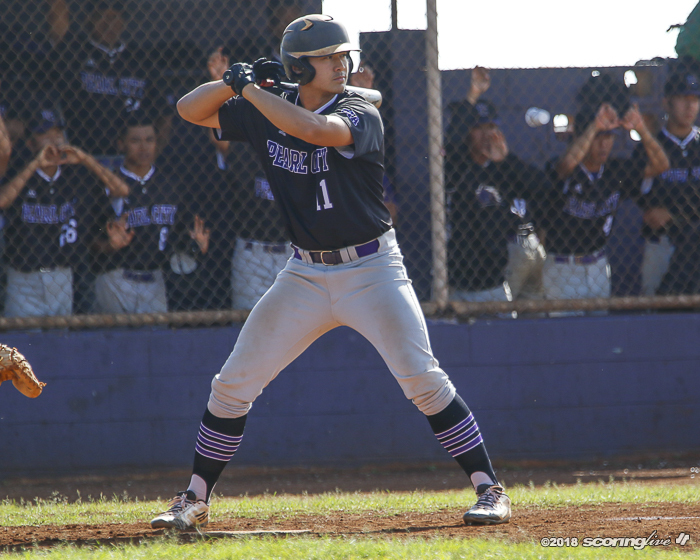 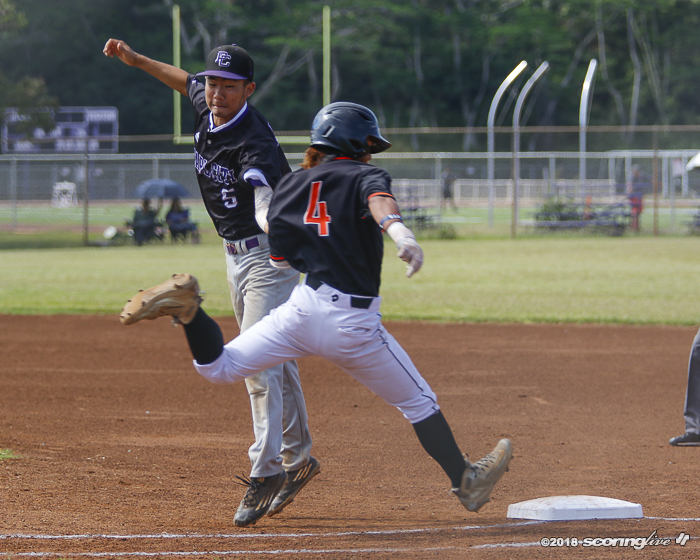 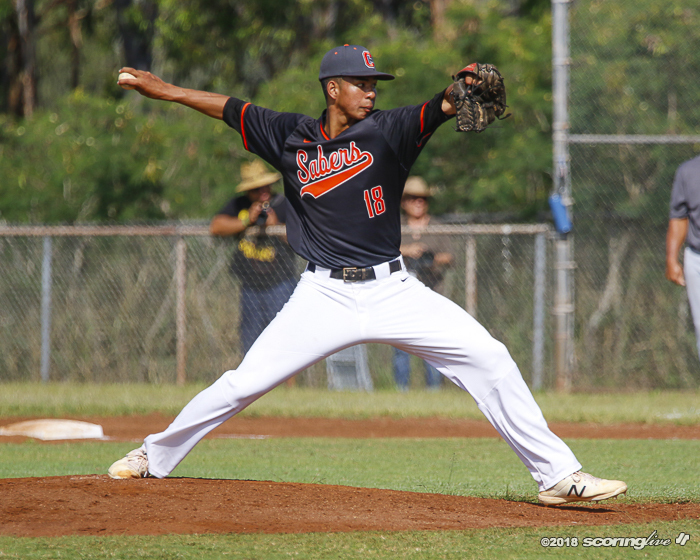 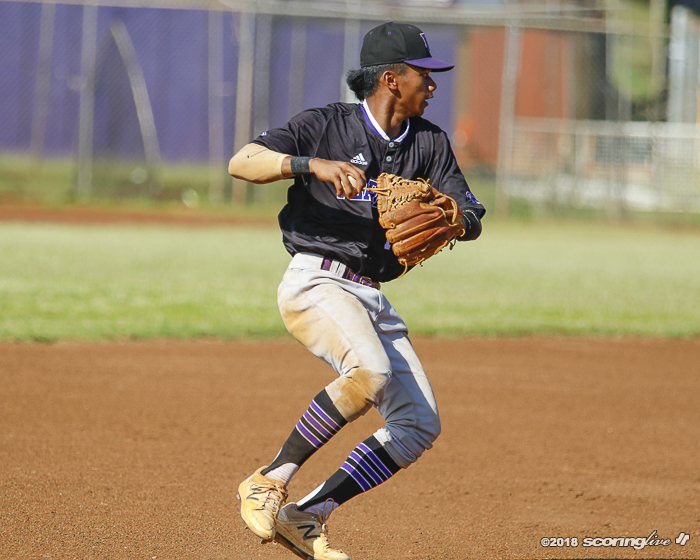 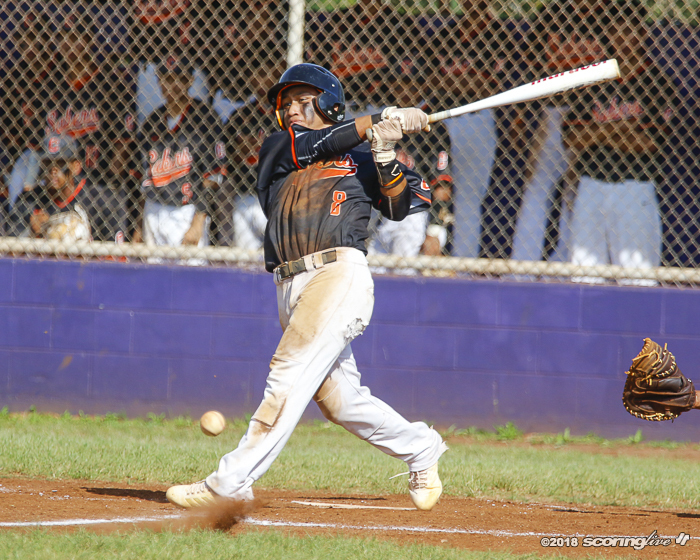 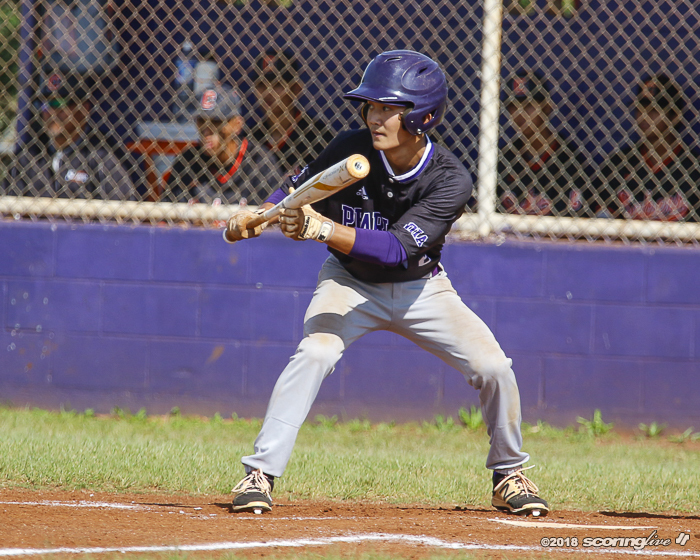 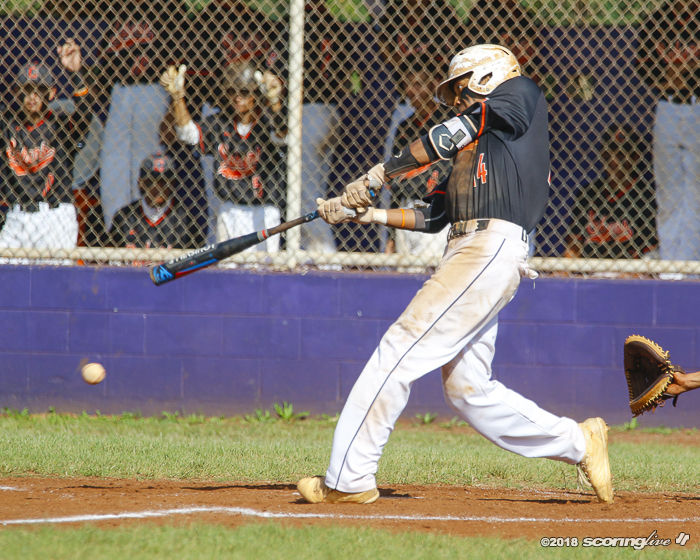 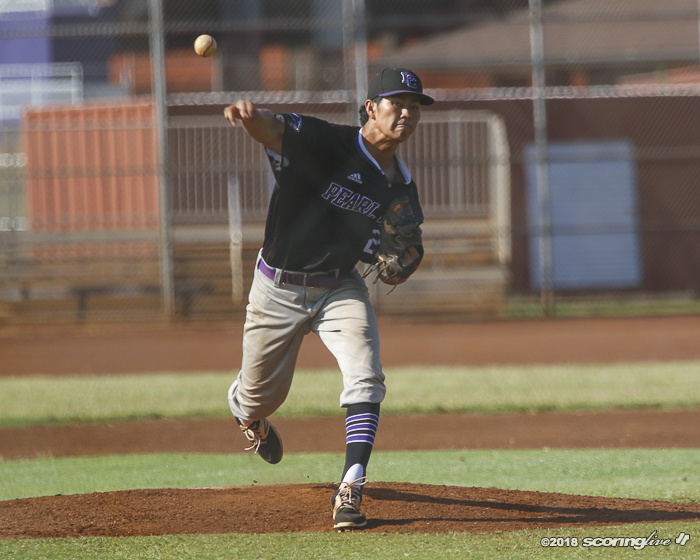 Campbell wasted little time getting on the board against Pearl City starting pitcher Jansen Shigeta, who was tagged for four runs, seven hits and a walk with one strikeout in 2-2/3 innings. 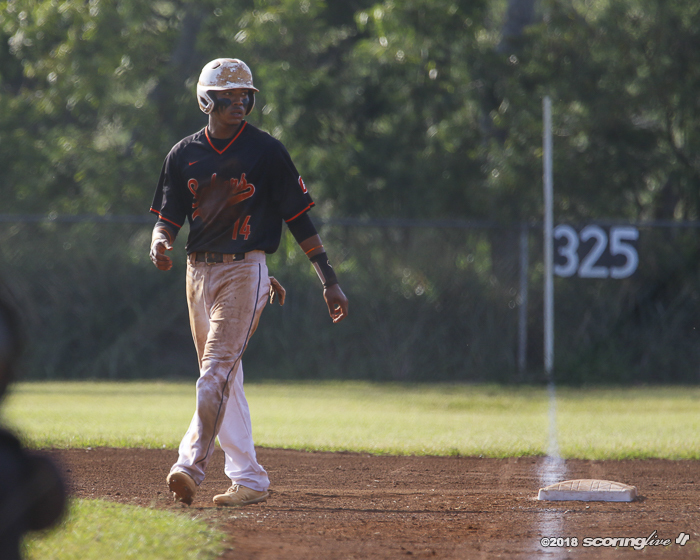 Sampson's two-out, RBI single gave Campbell a 1-0 lead in the first. 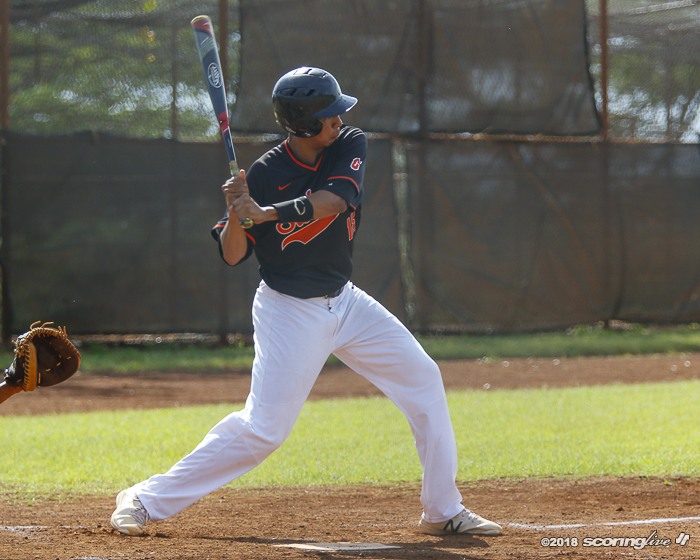 His two-out, two-run single in the third highlighted the Sabers' three-run third. 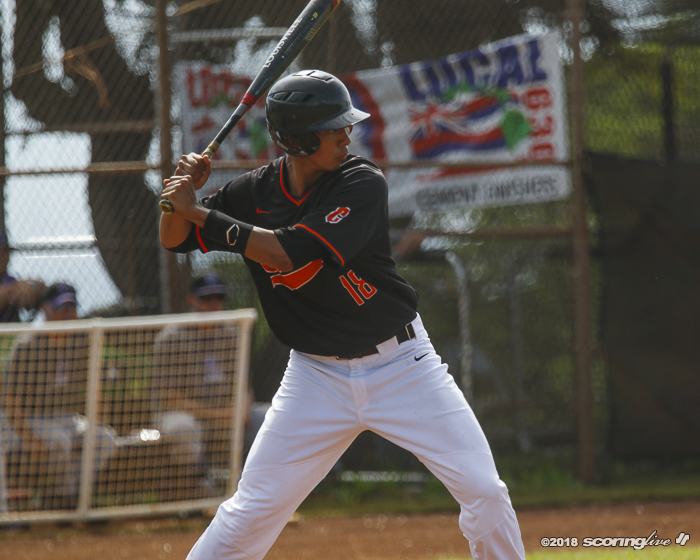 Kalaola aided his own cause with an RBI single in that frame, when Campbell batted around. 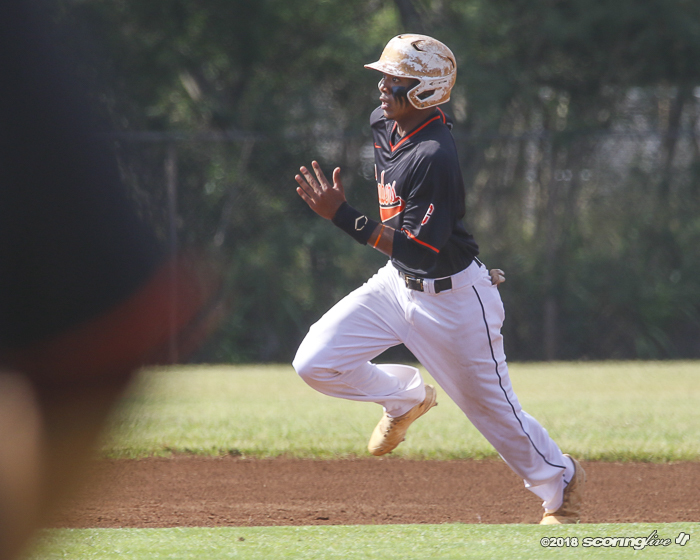 Campbell added four runs in the fifth against reliever Alika Almaraz. 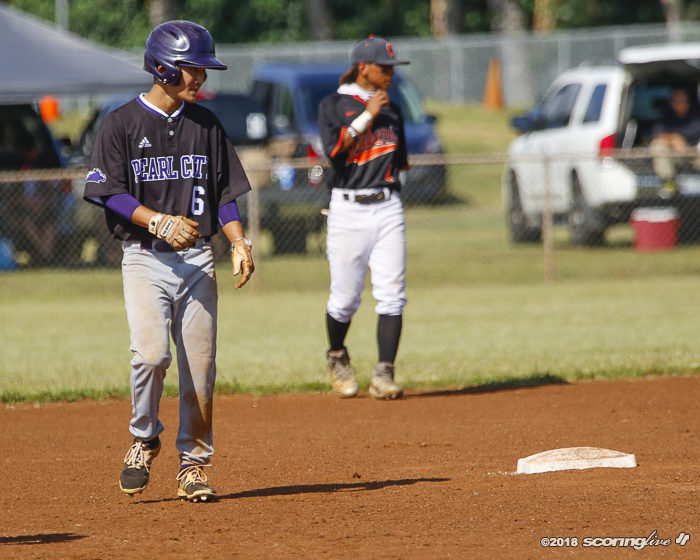 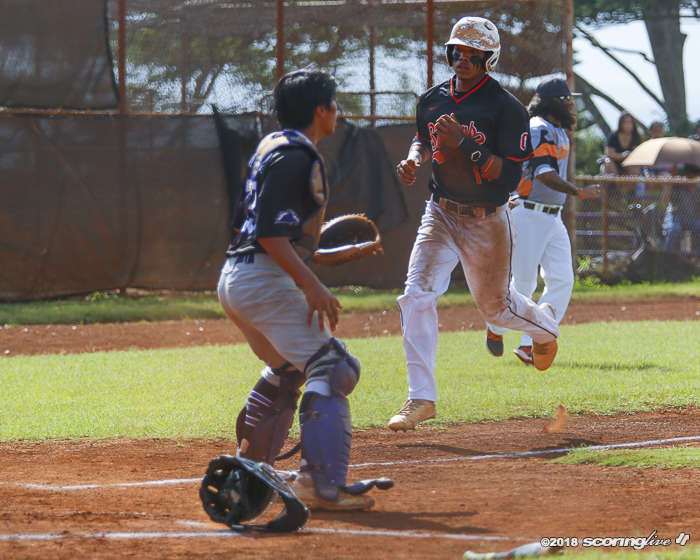 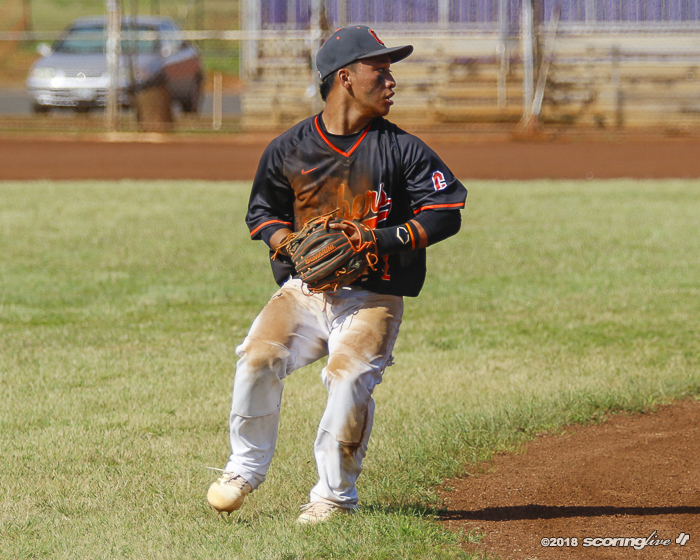 Rory Escuadro and Kalaola each had sacrifice flies, and Ikaika Ganacial added a two-run single off of Kulia Neal. 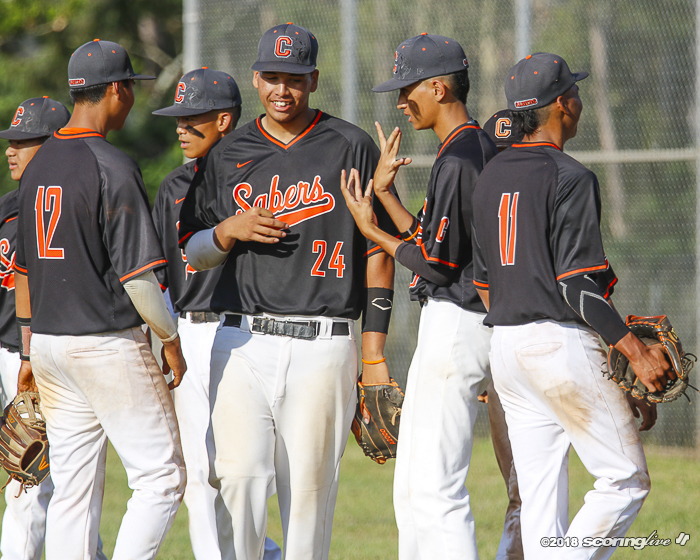 The Sabers added two in the sixth. 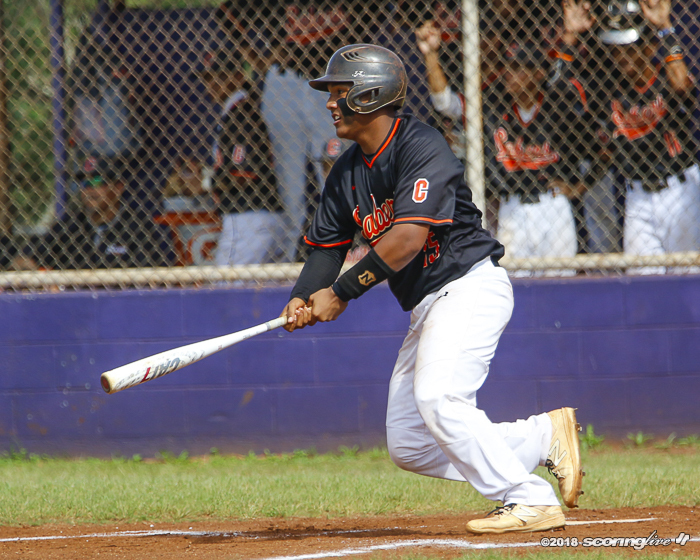 After two hit-batsmen and a wild pitch, Escuadro reached on an error that plated one run, and Shayden Banaay's sacrifice fly made it 10-0. 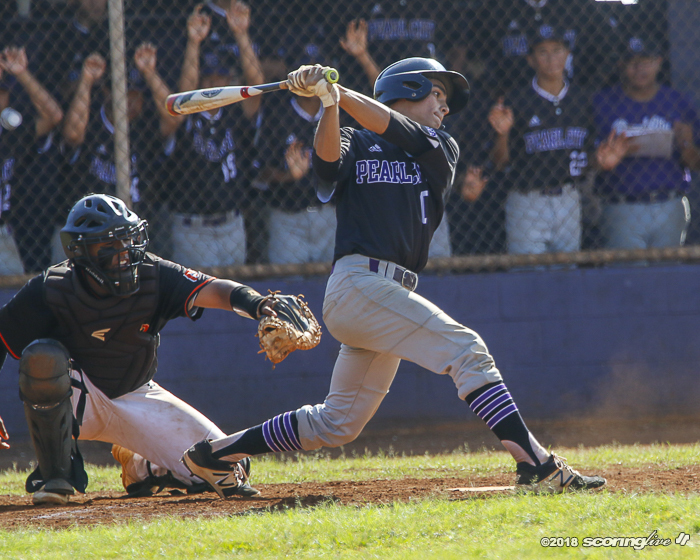 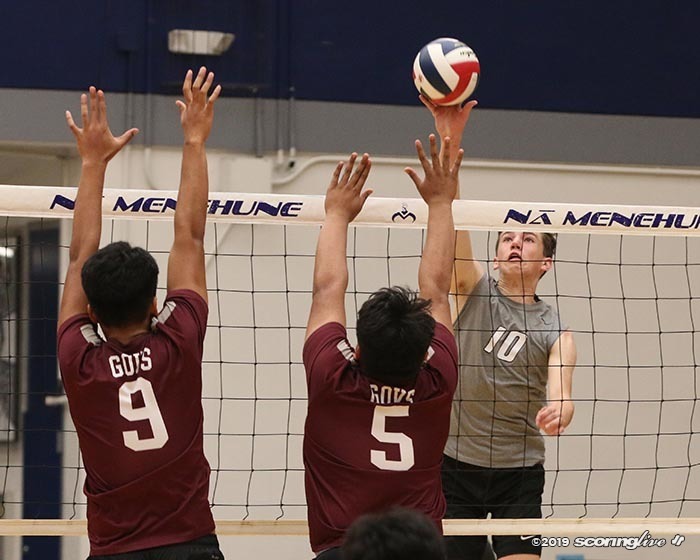 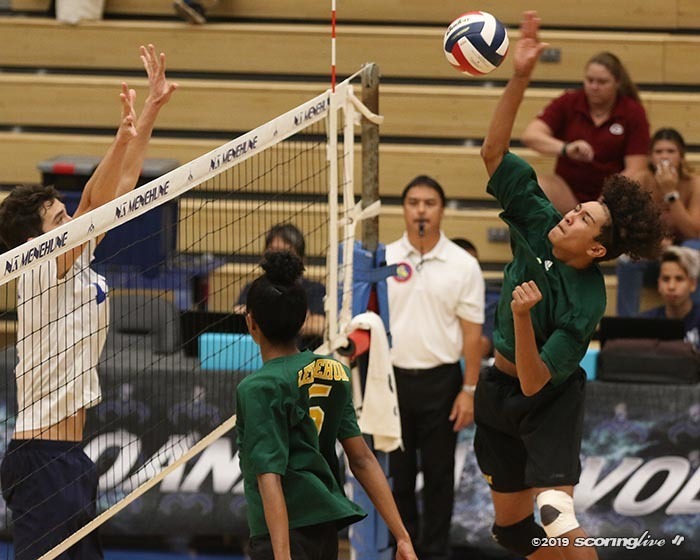 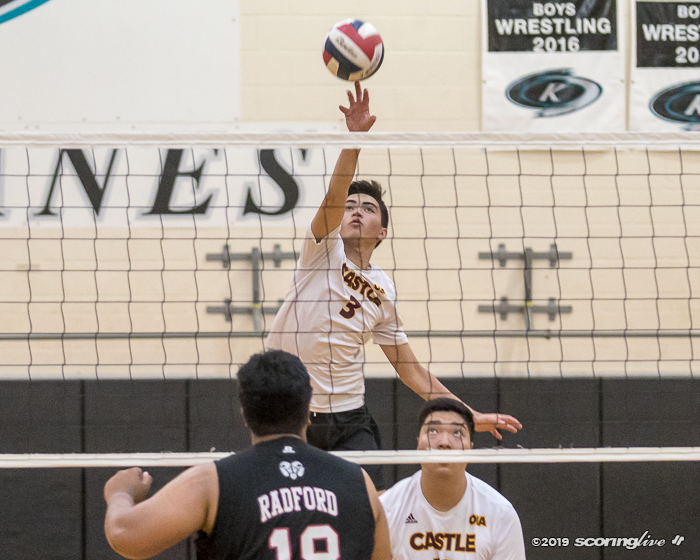 "Last game against Pearl City, we weren't really hitting," Sampson said. 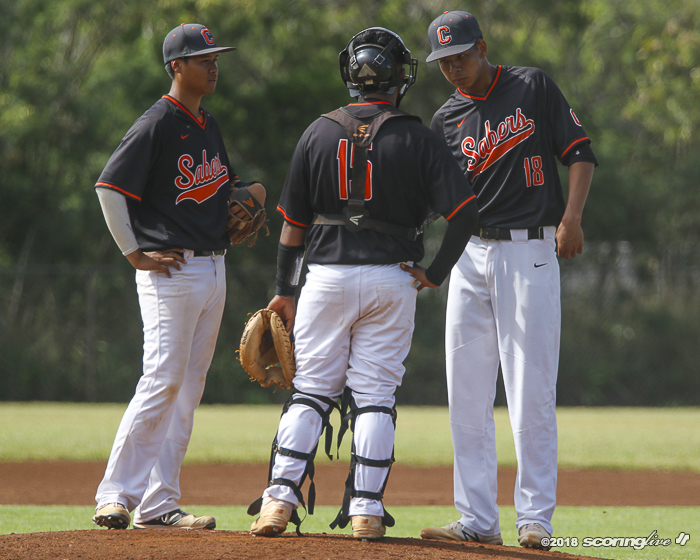 "We told each other, we have to get it to the next guy, just keep doing what we gotta do, put the ball in play. 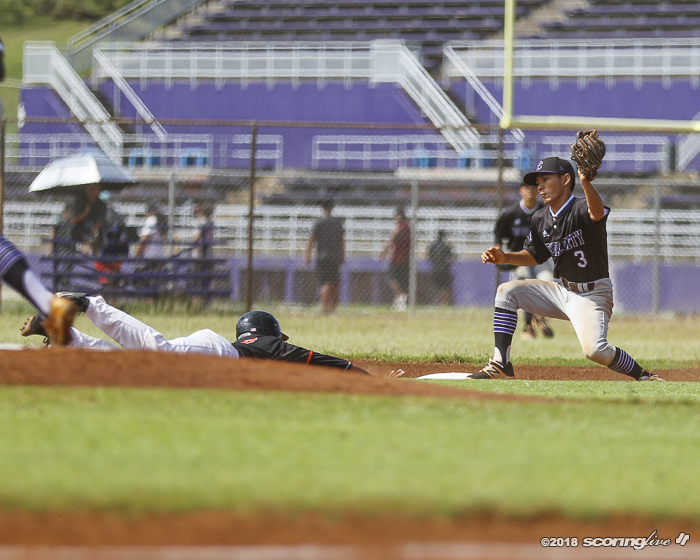 We just can't give away outs like that, just make every out hard." 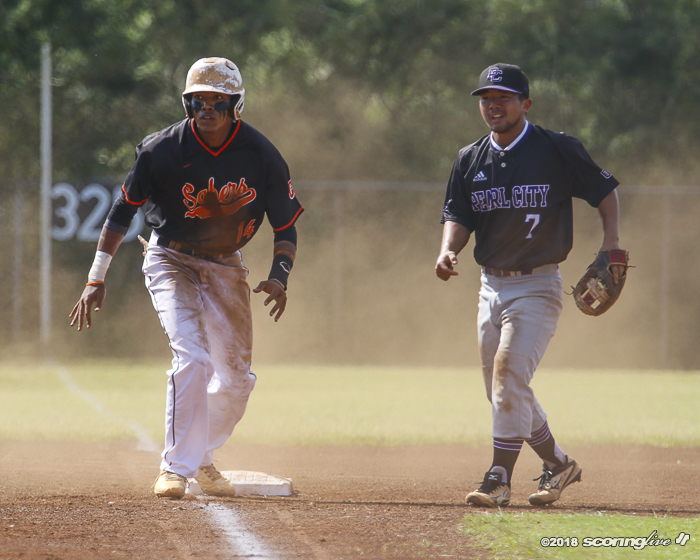 Both teams continue play at 3 p.m. Wednesday. 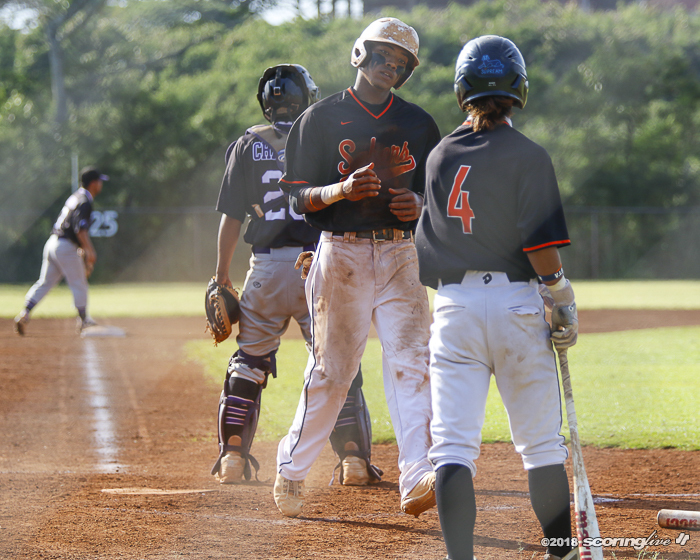 The Chargers will host Leilehua and the Sabers will do the same against Kapolei.